Granger's buzzer-beater sends Unicaja to Top 16! In a finish that will long be remembered by Euroleague fans everywhere, Unicaja Malaga edged Montepaschi Siena 62-64 in Florence, Italy, on Jayson Granger’s one-handed, off-the-glass buzzer-beater to advance to the Top 16. 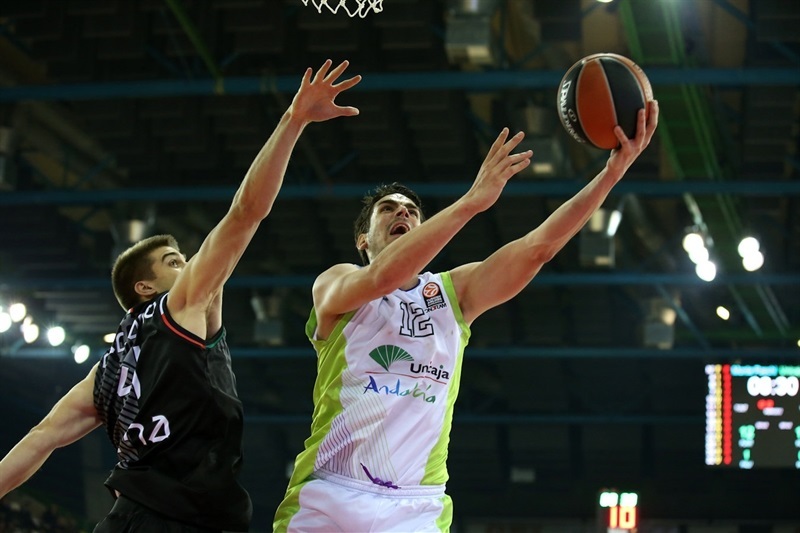 Unicaja finished third in Group C with a 5-5 record, while Montepaschi Siena finished fifth at 3-7. 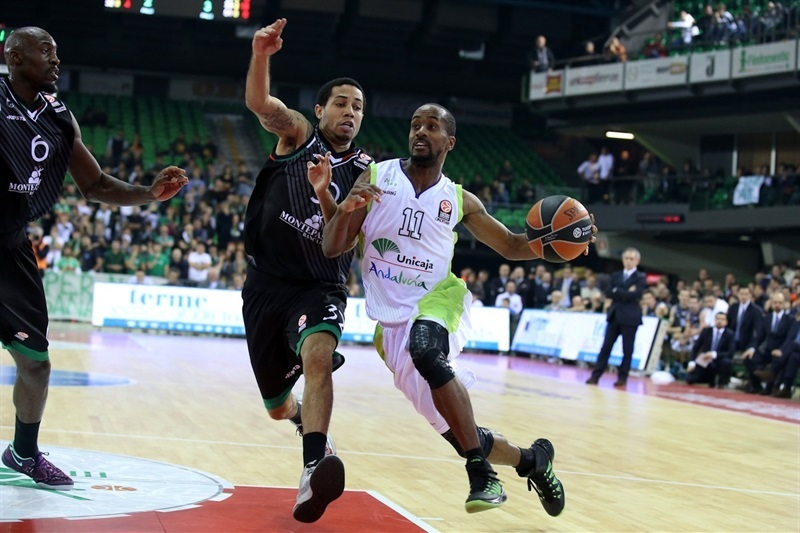 Montepaschi will resume its continental season in the Eurocup Last 32. Nik Caner-Medley paced the winners with 20 points. Granger and Earl Calloway each added 13 for Unicaja. Othello Hunter and Josh Carter led Montepaschi with 14 points apiece. Erick Green added 12 for the hosts. An outstanding Caner-Medley allowed Unicaja to get a 22-32 lead at halftime. Montepaschi missed its first 18 shots from downtown but made the next 5 for a 51-48 lead already in the fourth quarter. It all came down to the final minute. Ryan Toolson beat the shot clock with a big three-pointer and Hunter tied the game at 62-62 with 3.9 seconds left. 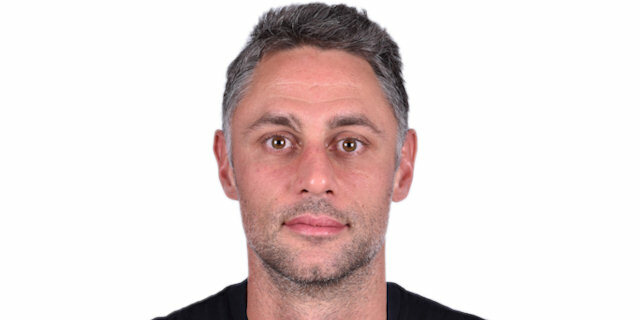 Granger collected the inbounds pass and hit an unbelievable shot that sent Unicaja – and Bayern Munich – into the Top 16 and took Montepaschi out of the competition and into the Eurocup Last 32. Both teams struggled to score early until Caner-Medley stepped up with a layup in transition. Hunter answered with a put-back basket, as Unicaja struggled to get Toolson and Carlos Suarez involved. Meanwhile, a tip-in by Green gave Montepaschi its first lead, 4-2. Hunter kept pacing the hosts with a close jumper that Green followed with an off-balance layup for an 8-2 lead, after an 8-0 Montepaschi run. Calloway tried to change things with a layup that Caner-Medley followed with free throws to bring Unicaja within 2. A three-pointer by Suarez put Unicaja back ahead. 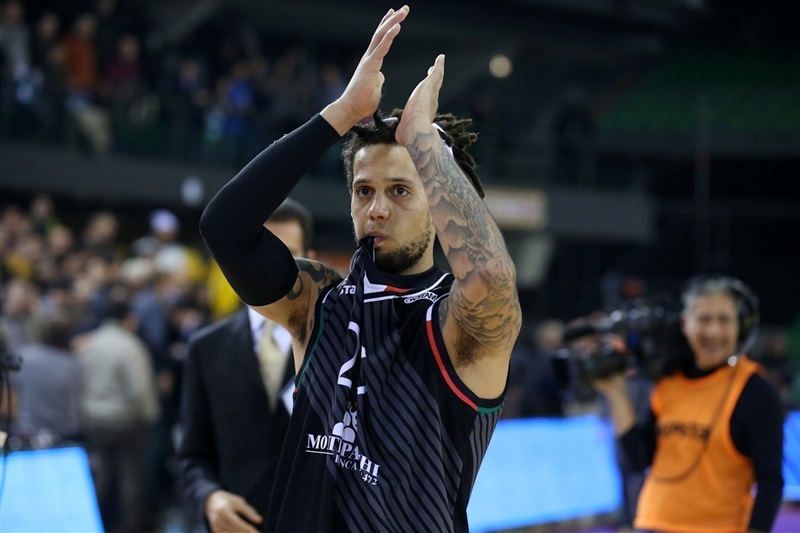 Daniel Hackett sank a fade-away jumper and Granger took over with a driving layup, but Unicaja lacked concentration, committing turnovers off defensive rebounds. 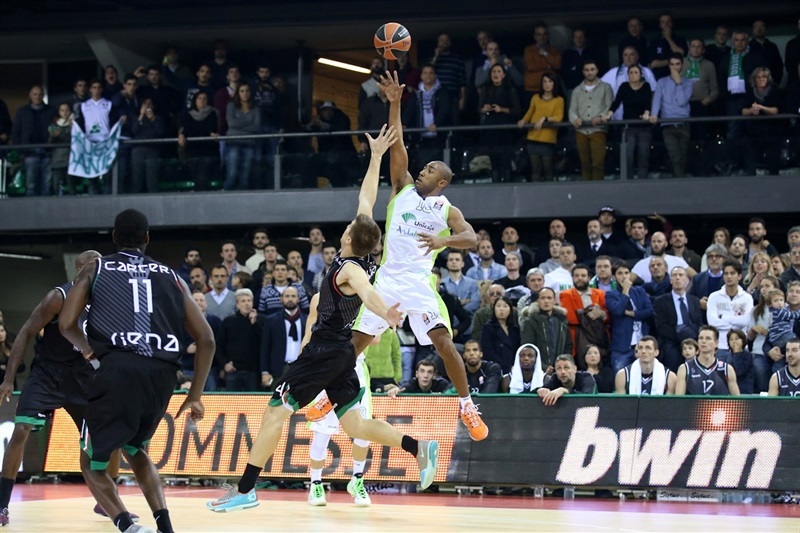 Montepaschi kept missing open shots, however, and a jumper by Caner-Medley gave the guests a 10-13 lead. Free throws by David Cournooh and a layup by Caner-Medley fixed the score at 12-15 after 10 minutes. Granger hit a close jumper early in the second quarter, good for a 12-17 Unicaja lead. 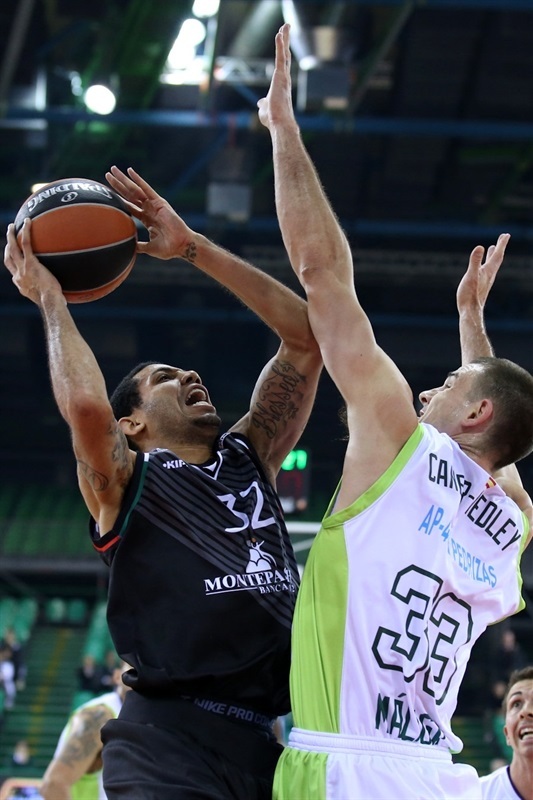 Montepaschi struggled to beat Unicaja's zone defense until Taylor Rochestie came off the bench and nailed a five-meter jumper, but Caner-Medley improved on that with a corner triple. Spencer Nelson and Caner-Medley exchanged baskets and an acrobatic layup by Granger boosted the guests to 16-24. Montepaschi could not get Hackett involved, three-point shots did not go in and its offense collapsed. Meanwhile, Caner-Medley gave Unicaja its first double-digit lead, 16-26. Carter made free throws, but he didn't find much help around, as Montepaschi kept taking, but not making, shots from downtown. Fran Vazquez sank a jump hook and erased Hunter's layup with a tip-in that restored a 20-30 Unicaja lead. Vazquez kept pacing Unicaja with another jump hook, but a buzzer-beating jumper by Green brought Montepaschi within 22-32 at halftime. Hackett took over with a driving layup right after the break, as Unicaja was held scoreless for more than two minutes. Hackett fed Hunter for an easy layup that gave Montepaschi hope at 26-32. 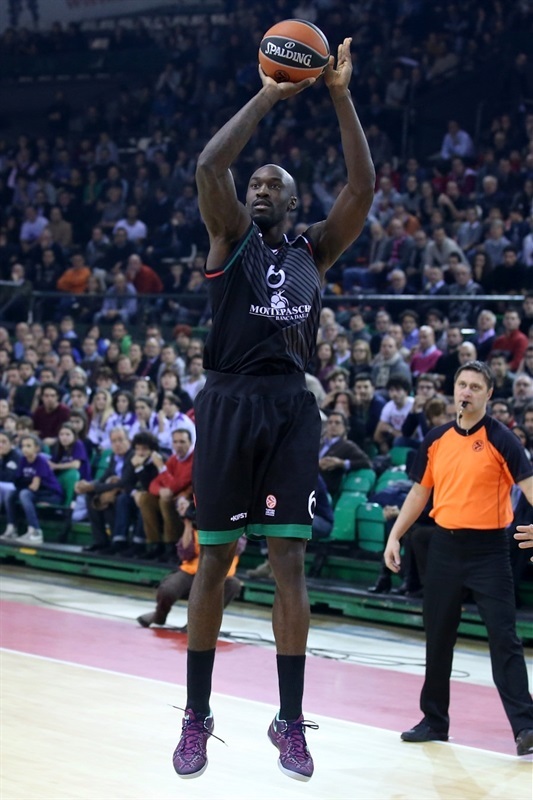 Caner-Medley rescued Unicaja with a three-pointer. 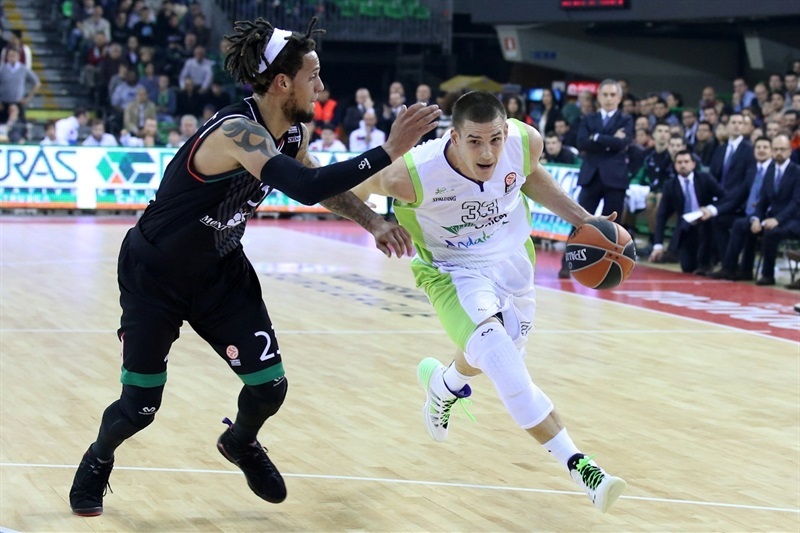 Montepaschi kept missing three-point shots and could not get its big men involved due to Unicaja's excellent defense on the pick and roll. Montepaschi forced a 24-second turnover, which allowed Carter to hit the hosts' first three-pointer tonight – after 18 missed attempts. Green soon added a layup off a steal to make it 31-35. Hunter ignited the crowd with a high-flying put-back slam. Vazquez scored down low off a timeout but Carter bettered that with a triple to bring the hosts even closer, 36-37. 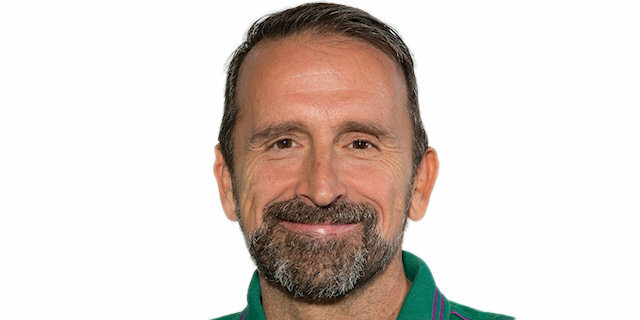 Vladimir Stimac shined with a tip-in, Hackett quickly answered with a driving basket. A three-pointer by Calloway gave Unicaja some fresh air, 38-42, through three quarters. Cournooh struck from downtown early in the fourth quarter. Caner-Medley stepped up with a layup in transition, but a red-hot Cournooh buried another three-pointer to tie the game at 44-44. Calloway shined with a high-flying driving layup that Jeff Viggiano matched at the other end. Stimac scored in the low post and a driving basket by Green tied it again, 48-48, with over six minutes left. Carter buried a seven-meter bomb that completed the hosts' comeback, 51-48. Calloway answered from downtown and fed Granger for a corner triple that put Unicaja back ahead, 51-54. Calloway insisted from downtown to cap a 0-9 Unicaja run. Nelson scored down low and a driving layup by Green kept Montepaschi as close as 55-57 with less than three minutes left. Granger scored in penetration, but Carter bettered that with a triple and Hunter scored in the low post for a 60-59 Montepaschi edge with 44.6 seconds remaining. Toolson beat the shot clock with an off-balance three-pointer that rattled in, good for a 60-62 Unicaja edge with 14.1 seconds to go. Hunter found space for an uncontested layup that tied the game, 62-62, with 3.9 seconds left. Granger grabbed the inbound pass, raced downcourt and banked in a one-handed, off-balance shot that sent Unicaja to the Top 16! "When the game ends with a shot that is not a defeat. The team played with pride onthe court and I told the players to play as simple as possible. Nothing to reproach to my players "
"Congratulations to Siena for the beautiful game and executions they did. They knew that the game would be fought point by point, like in the first leg. It was the most difficult group of the regular season." "There is disappointment and anger, but we must look at and keep the good things done today. We paid the poor shooting percentage and they were good at playing the game where they wanted."